The Reusable Intermodal Container Lock is constructed of cast steel and polyester powder coated, making the lock resistant to bolt cutters, saws, and sledge hammers. Easy to install, the IR-20 fits most intermodal containers and completely encases the hasp. 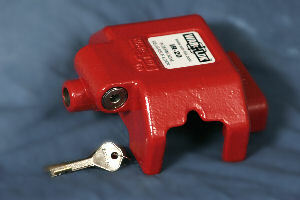 This lock is a must-have for the intermodal industry. 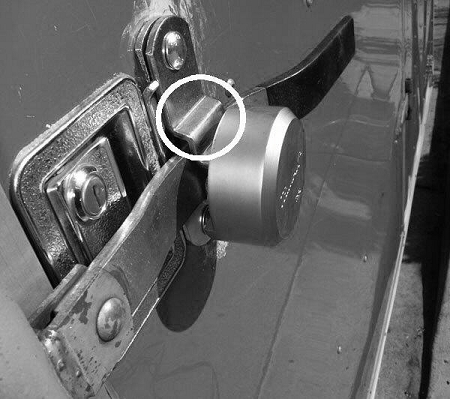 Locks can be keyed alike or keyed differently with or without a master key.